Bworks and all its programs are closed on Monday, March 3rd due to the weather. 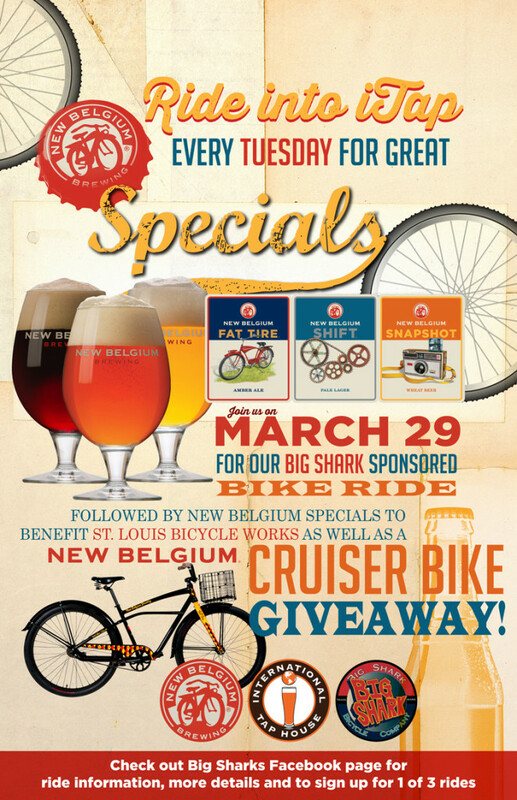 Join us on Saturday, March 29 for our Big Shark Sponsored Bike Ride followed by New Belgium specials to benefit St. Louis Bicycle Works as well as a New Belgium Cruiser Bike Giveaway! Check out Big Sharks Facebook page for ride information, more details and to sign up for 1 to 3 riders. If you have a desire to nurture and strengthen St. Louis and a fervor for youth education, volunteering as a BWorks Programs Instructor may be a great fit for you! St. Louis BWorks is actively recruiting volunteers to act as instructors in our Earn-A-Bike, Earn-A-Computer, and Create-A-Book courses. No previous experience is necessary – just the passion for education and desire to enhance the lives of young people! To find out more information about becoming an instructor with BWorks, attend our volunteer orientation on the first Tuesday of every month at 7:00 p.m. or contact BWorks’ Program Administrator, Molly Brady (Molly.Brady@BWorks.org). St. Louis BWorks is partnering with Saris Cycling Group, a US manufacturer of bicycle racks and cycling training products, to organize the 4th Annual 5th Grade National Poster Contest. 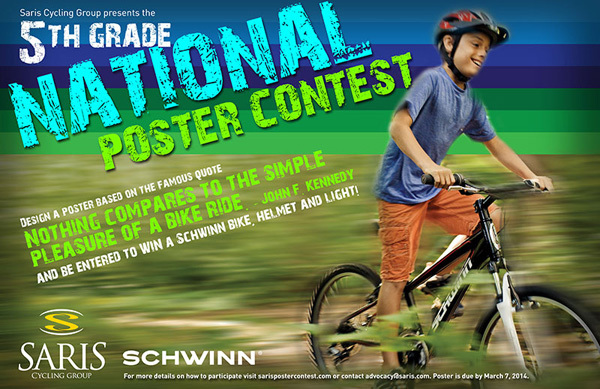 The contest is asking 5th grade students to create a poster around the famous John F. Kennedy quote, “Nothing compares to the simple pleasure of a bike ride.” The purpose of the contest is to promote youth riding bicycles as a way to lead a healthy lifestyle. One first place winner will be selected from Missouri to receive a bicycle, bike light, and helmet. Missouri will also have second and third place winners, receiving a helmet and light and helmet, respectively. Posters are due March 7. One National winner will win a trip to the 2015 National Bike Summit in Washington, D.C. and their school will receive bicycle parking to park twenty bikes and a bike/walk tracking system called The Hub. Classes from which 1st, 2nd, and 3rd place winners are selected will receive bicycle bells and lights, compliments of St. Louis BWorks, for the entire class. To learn more about the SCG Poster Contest or to participate contact Molly Brady – St. Louis BWork’s Programs Administrator (Molly.Brady@BWorks.org).